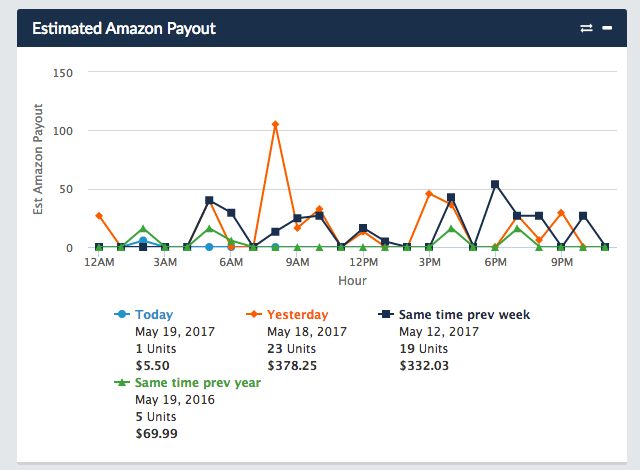 This is a comparison review of the three popular profit dashboard tools for Amazon sellers - Hello Profit, Fetcher and Shopkeeper. What fees and costs are accounted for? Here is a table with a list of fees and costs, showing if they are included or not in the three apps. 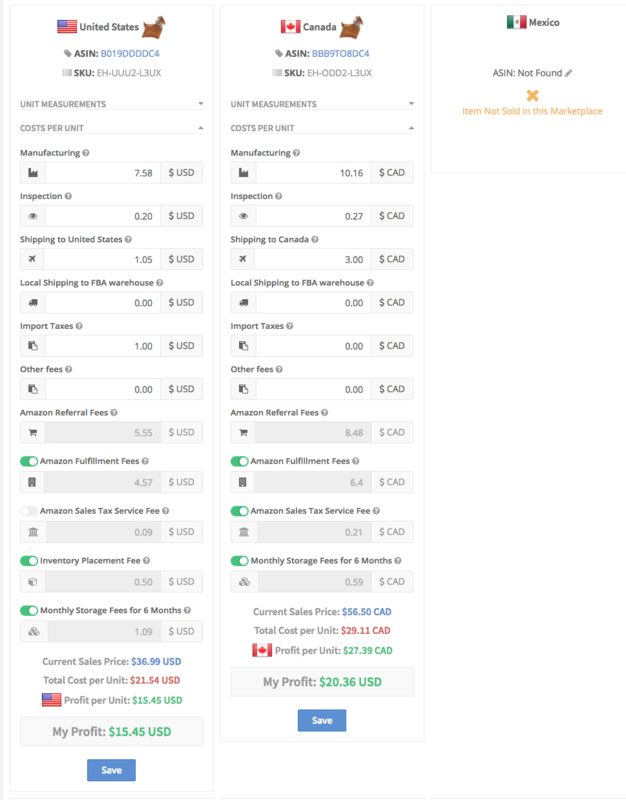 There are 11 countries where you can sell your products on a country-specific Amazon marketplace. Here is a list of which countries each of the software tools supports. The bigger the marketplace, the more apps support it. HelloProfit combines the stats for USA, Canada and Mexico into one number, and UK, Germany, France, Italy, Spain - into another number. There is no way to see all stats summed up into one. 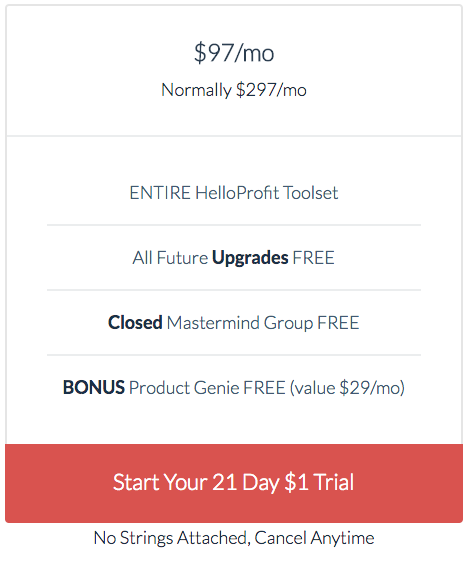 HelloProfit charges $29 extra monthly fee for additional marketplaces. 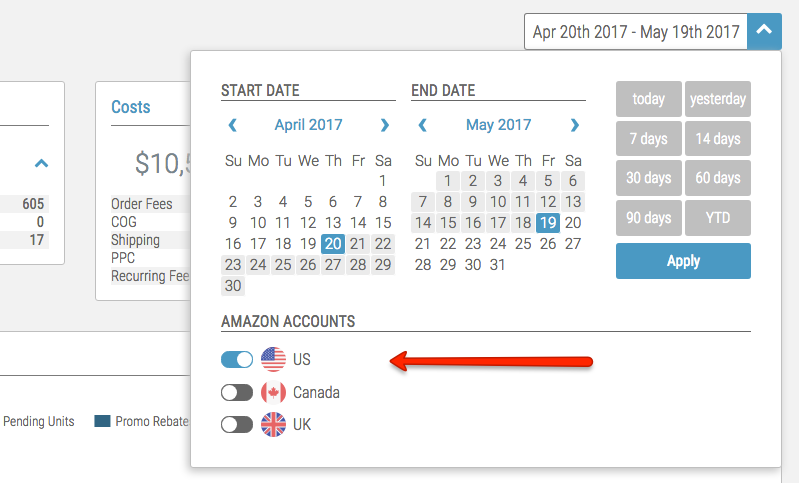 Fetcher does not combine the countries at all, each country will have to be viewed separately, using a country switch that they provide. 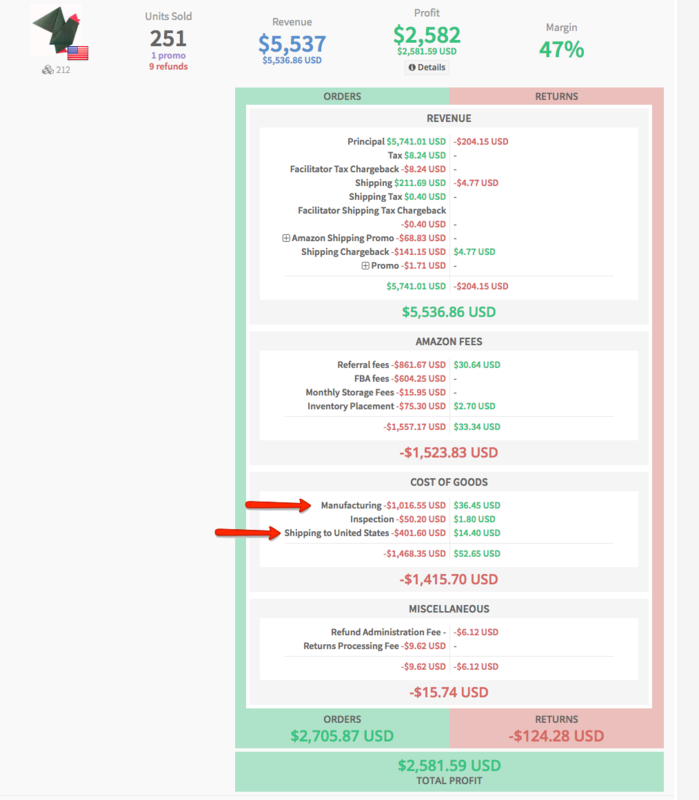 Switching back and forth like this is difficult, especially if you sell in many marketplaces. There is no charge for additional connected marketplaces. 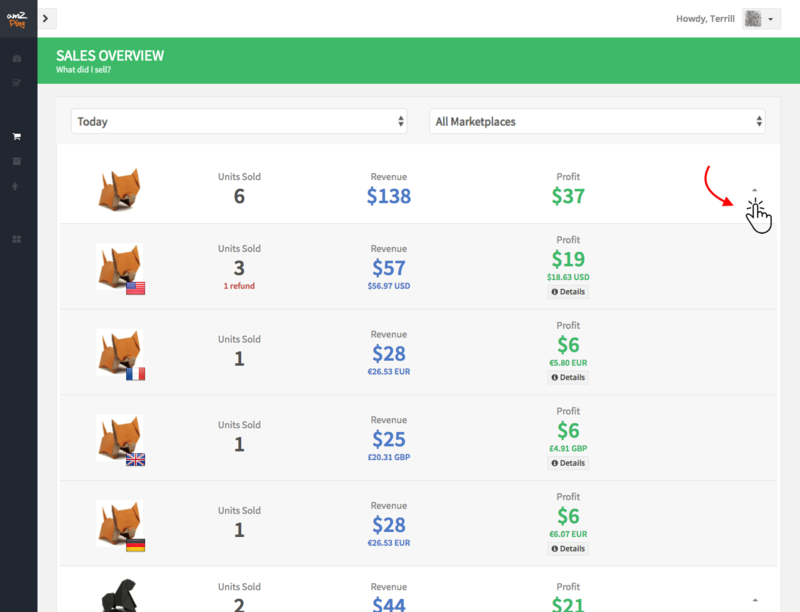 Stats from all marketplaces are summed up together in Shopkeeper. It's converted to the currency of your choice and displayed as one number. Shopkeeper is the only one that supports Amazon Japan and Amazon India. There is no charge for additional connected marketplaces. How do other features compare? 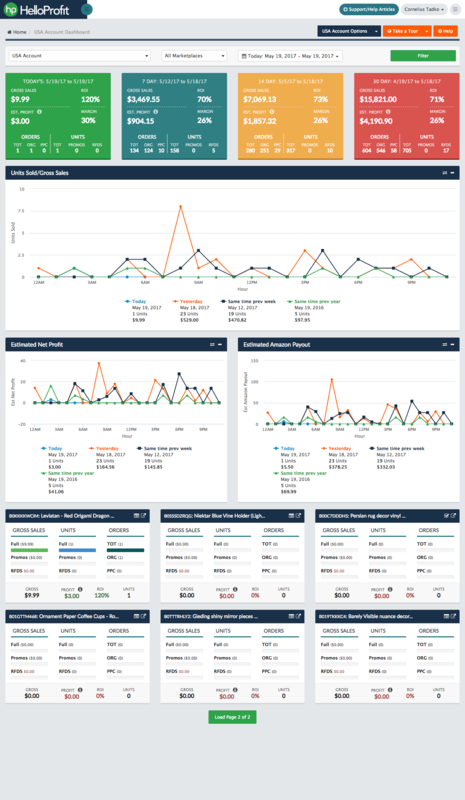 What are the pros and cons of each Dashboard? 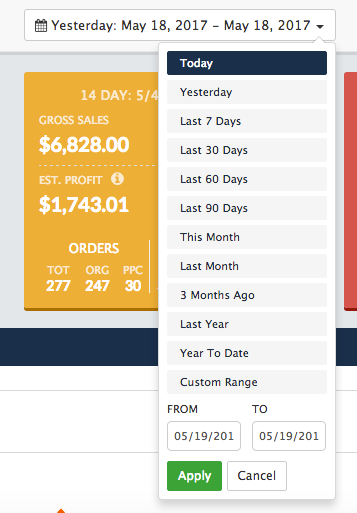 If variations have similar names, it’s hard to tell which one is which in product widgets. Title is cropped, you can only tell them apart by ASINs, which is not helpful for quick overview. Yesterday is commonly used and would be very handy as a widget. It could replace the not so useful 14 day widget. We already see stats for 7 days, so it’s easy to just double it up in your mind. 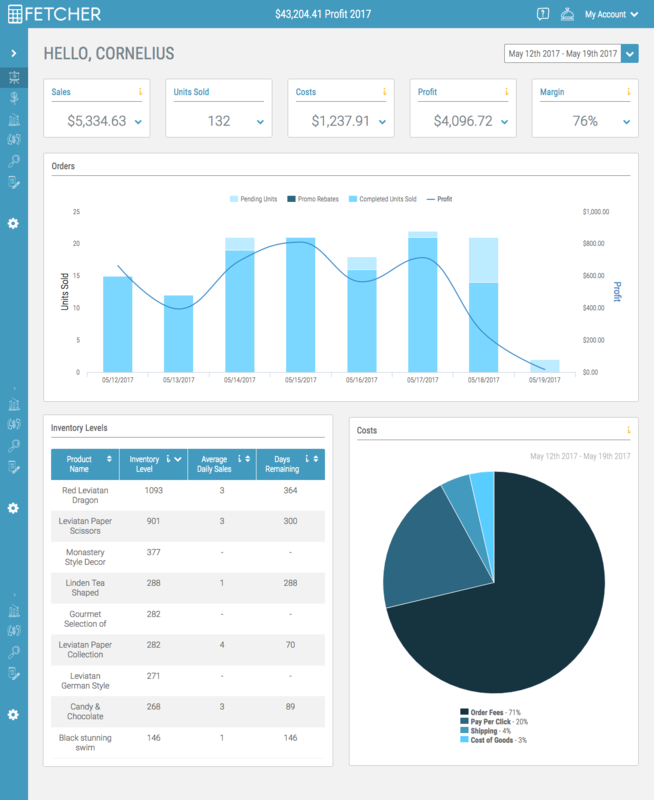 How do these tools look like on mobile? 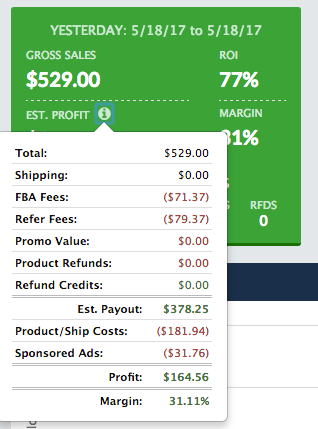 HelloProfit is formatted quite nice for mobile, but on some pages you will still have to zoom in. 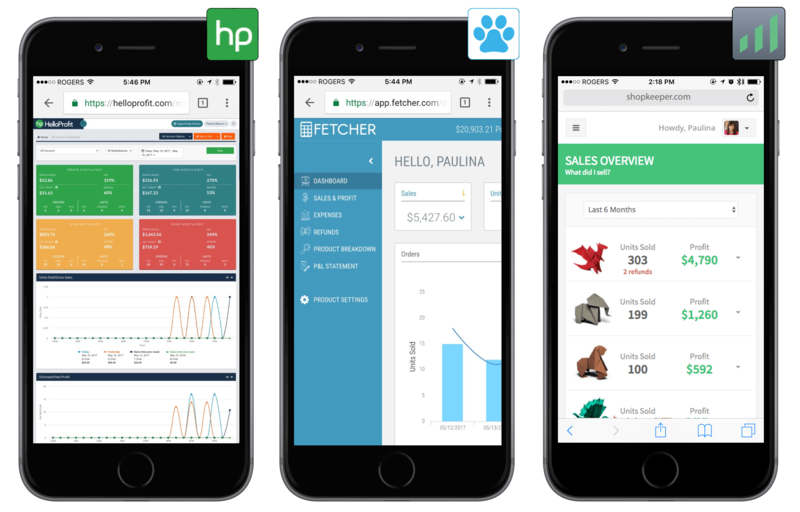 With Fetcher, you will have to side-scroll or zoom out, but you will still be able to see your data. 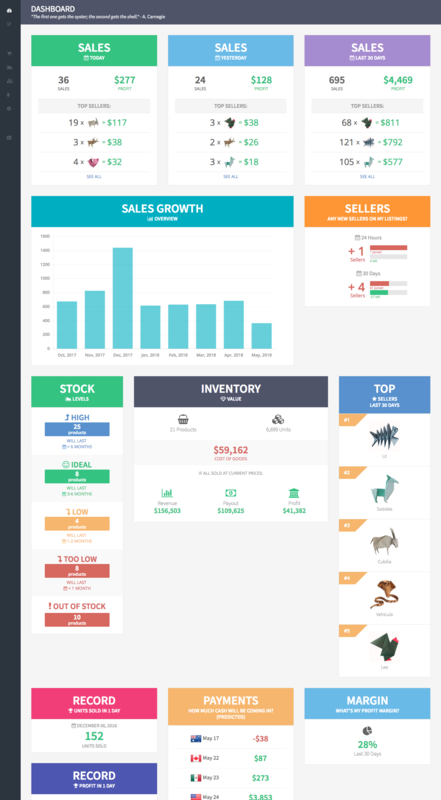 Shopkeeper is designed to show a modified view for mobile, so you will see your data without zooming or side-scrolling. Overall, Fetcher offers the most competitive pricing, but your choice will depend on which features and look you prefer more. 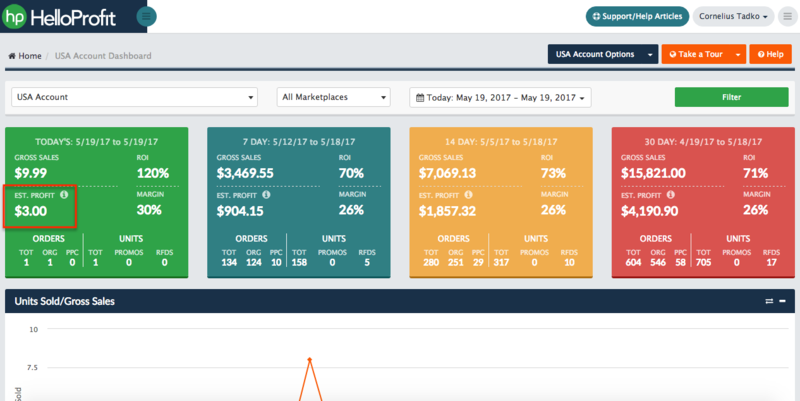 If you like clean uncluttered interface, which is simple, beautiful and easy to use, and if you sell in Japan or India - Shopkeeper will work the best for you. 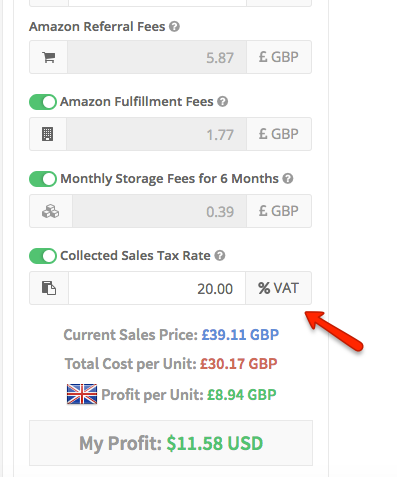 If you don’t care about the looks and a few small bugs, and if you sell primarily on one Amazon marketplace, you will like Fetcher the most. 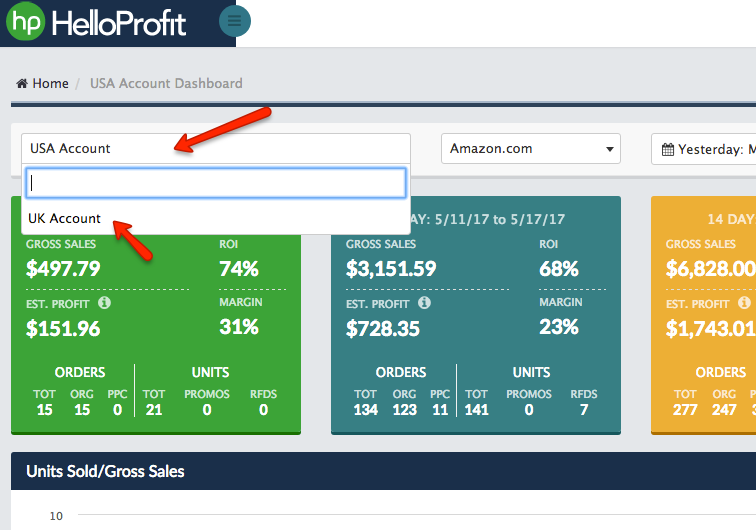 If you want to use what most sellers are using, time-tested and well trusted, you will choose HelloProfit.